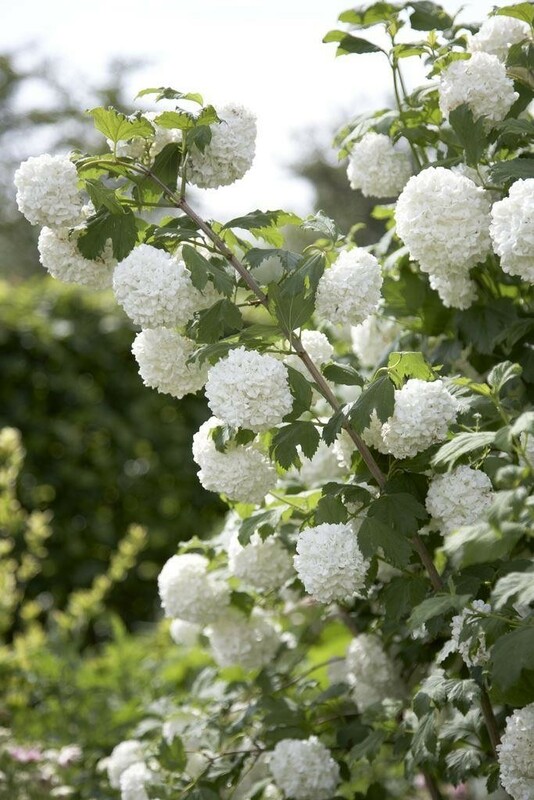 This Viburnum, or Snow Ball tree as it is better known is one of the most popular shrubs we grow thanks to its easy going nature, thriving through out the UK, and being easy to grow in virtually all gardens. 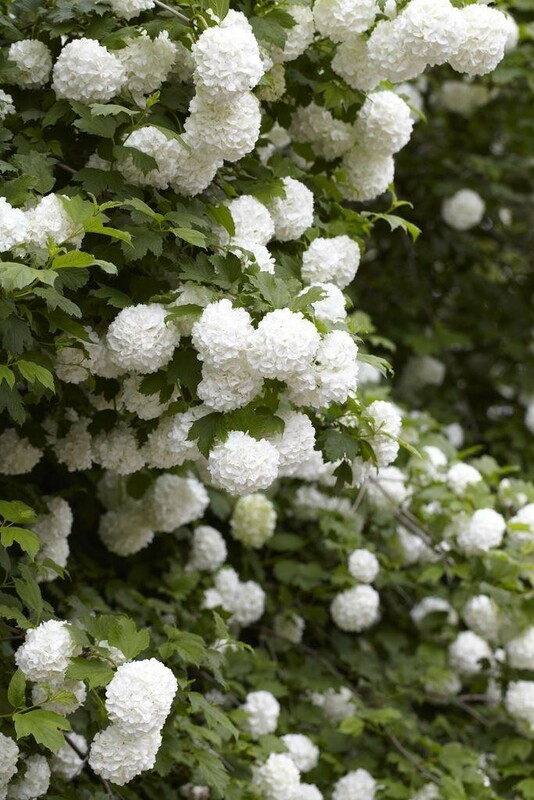 In May and June the branches of this vigorous deciduous shrub are smothered with large, snowball-like clusters of white or green-tinted white flowers - hence its common name, the snowball tree. These are coupled with very attractive fresh green foliage that is similar in shape to that of a Japanese Maple Acer, and these leaves add further interest by becoming purple-red tinted in the autumn. 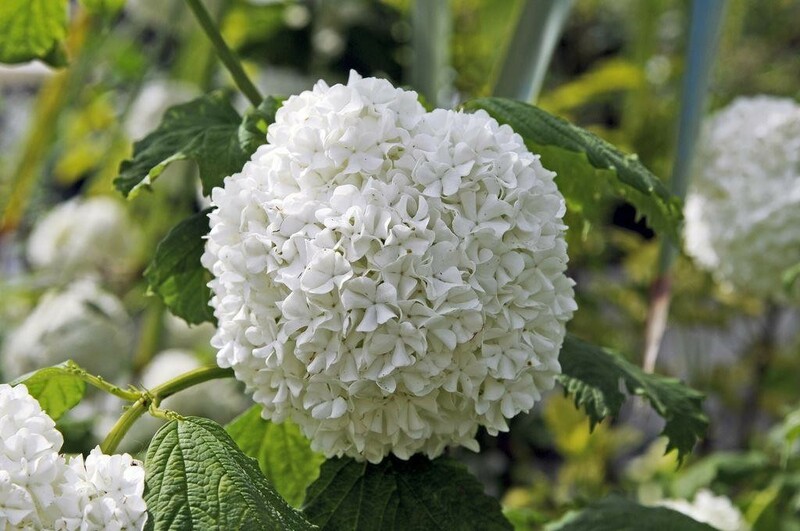 An excellent ornamental plant for any border, you can also cut some of the blooming stems for use indoors in a vase. If left to enjoy on the plant, you will get a crop of vibrant red berries giving additional autumn interest. 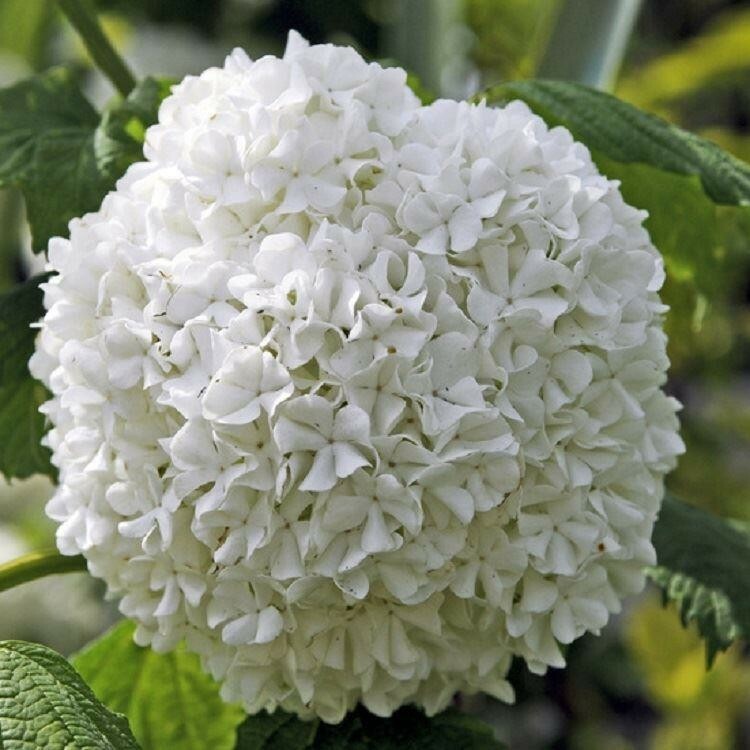 Bushy large specimen plants supplied in approx 10 Litre containers.